The Senate's top Republican on Tuesday pushed congressional bargainers to reach a border security deal without first getting President Donald Trump's approval, a month after the impulsive president scuttled an apparent bipartisan deal and triggered a historically long federal shutdown. Capitol Hill talks to resolve an impasse over Trump's demands for billions of dollars for his long-sought border wall were making progress, participants said. 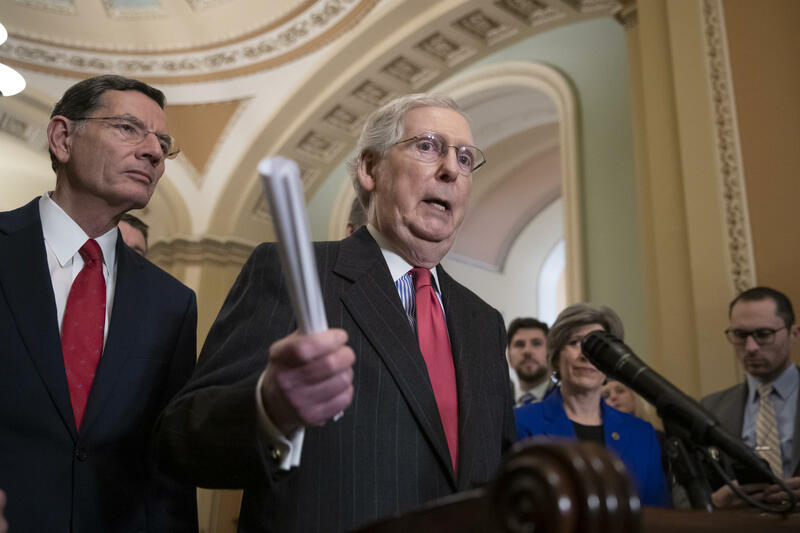 But with lawmakers facing a deadline to complete their work by Feb. 15 or confront a renewed shutdown, Senate Majority Leader Mitch McConnell, R-Ky., said he's not seeking Trump's blessing in advance. McConnell's tactic could remove a significant hurdle confronting the talks. Trump's demands have shifted abruptly on several issues during his two years in the White House, and top Republicans seem to feel that the best course will be for them to focus on reaching a compromise with Democrats. McConnell told reporters that negotiators "ought to reach an agreement, and then we'll hope that the president finds it worth signing." That's a break from his stance during the recent 35-day partial federal shutdown, which began after Trump — under pressure from conservative pundits — turned against an agreement to keep agencies open that both parties thought he'd embraced. That closure ended Jan. 25, and during it McConnell insisted that Trump's buy-in would be needed before any agreement could be reached. Trump is seeking $5.7 billion for a U.S.-Mexico border wall, but it's clear that the House-Senate negotiations won't approve nearly that much. The Senate put a $1.6 billion plan on the table last year, though many House liberals think even that amount is too high. In his State of the Union address, Trump said he wanted to strike a border security "compromise" but emphasized that a "physical barrier, or wall" must be included. "I will get it built," he said. "Both sides have moved," Sen. Roy Blunt, R-Mo., said. "And hopefully we're going to continue to see movement." But if Tuesday's developments increase the likelihood of an agreement among the pragmatic lawmakers dominating the talks — who are drawn from the deal-making appropriations committees — it could increase the risk that Trump might scuttle the entire effort if he's not satisfied with the border-security package. "We're looking to see if there's a way to get together in a comprehensive way — whether it's a barrier, whether it's a fence, whether it's technology, whether it's more personnel. I think it might be all of that," Shelby told reporters. "The wall deters people, and it buys the agents time," Fleischmann said. Texas Rep. Kay Granger, top Republican on the House Appropriations Committee, was also on the trip said it "absolutely" strengthened her conviction that physical barriers must be part of any agreement. She said the types of barriers that seem to work best — tall steel slats called "bollards" topped by concrete or steel — most resemble fences, not the walls Trump has demanded. "That's not my problem. I would call it a fence," Granger told reporters. She said she thinks a bipartisan agreement is "doable" and added, "I don't want another shutdown." Hanging over the talks is a threat by Trump to label the situation on the southern border a national emergency and invoke powers to transfer money from other portions of the budget — like disaster aid intended for Army Corps of Engineers flood control projects — to his wall project. Trump's address omitted any references to a renewed government shutdown or his oft-repeated threat to declare a national emergency if Congress fails to craft a deal he supports. Democrats said McConnell's declaration was a good indication for an agreement. "Every time we leave it up to the conferees, Democrat and Republican, House and Senate, we've been able to come up with a good agreement. It's when the president interferes that there's a problem," said Senate Minority Leader Chuck Schumer, D-N.Y.
A Louisville billboard has been vandalized to say "#AbolishICE" as protests against President Donald Trump and his administration's immigration policies continue in the Kentucky city. 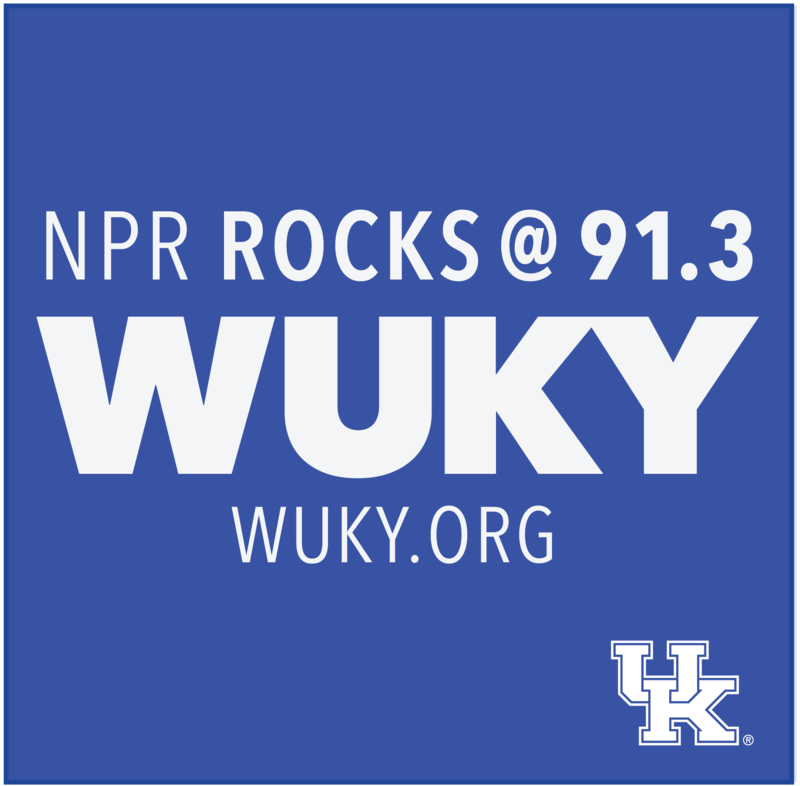 A Kentucky senator who served on President Donald Trump’s Hispanic Advisory Council during the 2016 presidential campaign says then-candidate Trump sounded amenable to providing a pathway to citizenship for undocumented immigrants brought to the U.S. as children, commonly known as dreamers. Lexingtonians filled the Fayette Circuit Courthouse square downtown on Saturday to voice their opposition to the separation of migrant families at the border.